WEST LAFAYETTE, Ind. — Purdue University is looking for feedback from faculty, staff and students regarding a proposal for a smoke-free campus. Heart disease, cancer and respiratory problems are just some of the issues linked to smoking and secondhand smoke. Smoking by faculty and staff also leads to increased medical costs, higher insurance rates, maintenance expenses, lower productivity and higher absenteeism rates for the university, Diaz said. Before making any policy changes, feedback from the campus community is needed. 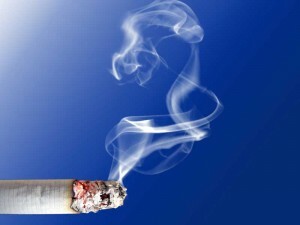 Information about the proposed change and a place to submit feedback is available at http://www.purdue.edu/policies/pages/about_policies/smoking.shtml. Feedback will be gathered until Nov. 1. The current policy at the West Lafayette campus allows smoking outdoors at a distance of at least 30 feet from university facilities and in designated areas within the Union Club Hotel. The new policy would prohibit smoking indoors and outdoors on the entire grounds of the campus as well as in all vehicles owned or leased by Purdue. If approved, the new policy would go into effect on July 1, 2010. In the Big Ten, the University of Iowa has the same campus-wide no smoking policy that Purdue is considering. Indiana University has a similar policy, but exceptions are made near student resident facilities and the Indiana Memorial Union Conference Center with approval. Other Big Ten universities have smoking policies, but they include variances and exceptions. All Purdue regional campuses have non-smoking policies, but details of each are set by administrators at those locations.